Shield Shaped Chrome Briefcase Lock. 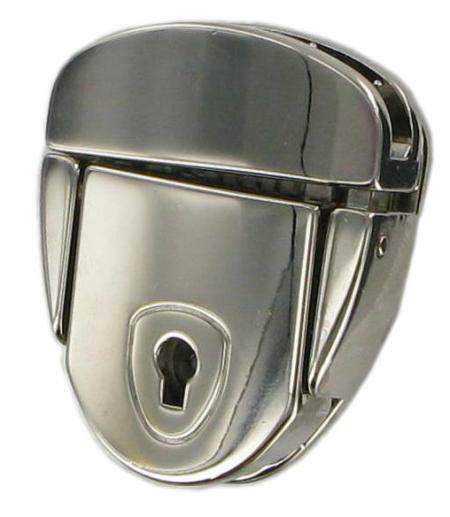 This replacement chrome lock suits many soft flap over briefcases. The lock measures 43mm x 35mm. Supplied complete with all parts needed, including screw on hasp (screws supplied), backplate for lock and key.